Another major concern pharmaceutical companies have is patients who are vegetarians. Most of our empty gelatin capsules are made from animal products, which means they aren’t a great option for those who choose to live a vegetarian lifestyle. 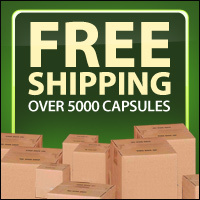 If you want to offer medications to this specific audience, Capsule Depot offers vegetarian capsules to meet the needs of these patients. We strive to meet the needs of every pharmaceutical company, even those that need to provide medication for vegetarians. Our pill capsules are empty and ready for you to fill with medication that is already safe for vegetarian patients. 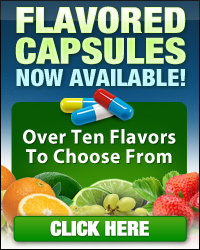 When you choose our special capsules, you will find an extensive variety of options so you can choose the right ones. 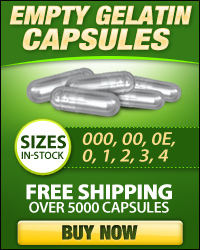 The clear capsules are available in a number of sizes. We also offer several colors so you can find the best options. Our empty gel capsules are safe and ready for you to fill up with the prescription medications you have created. Because they are made without the use of animal products, they are the ideal option for all patients. 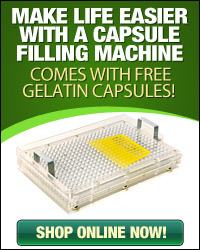 Many empty gelatin capsules aren’t free of animal products, making it difficult for vegetarians to find the medications they need to stay healthy. We strive to help you reach all patients, regardless of their dietary preferences, so everyone can get the help they need from prescription medications.